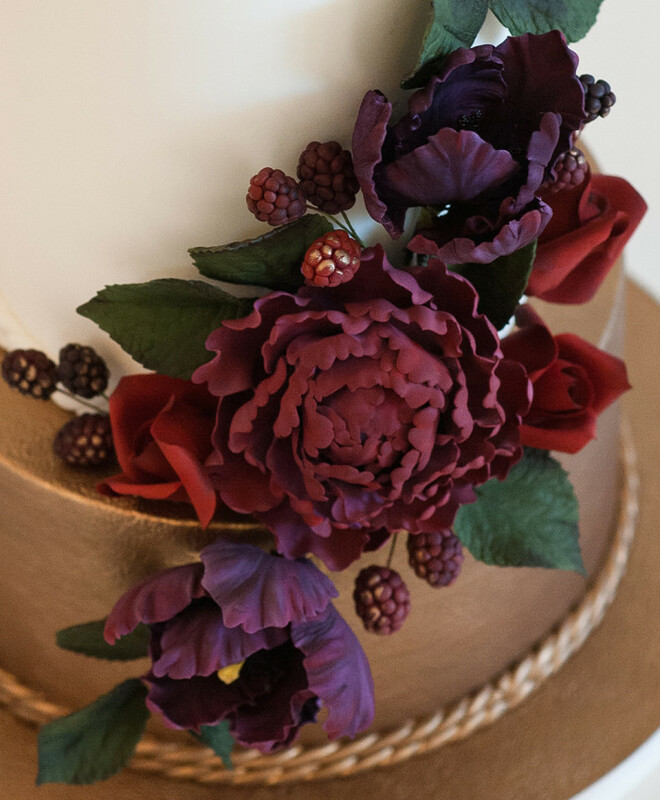 Ruby feels enchanting and majestic. 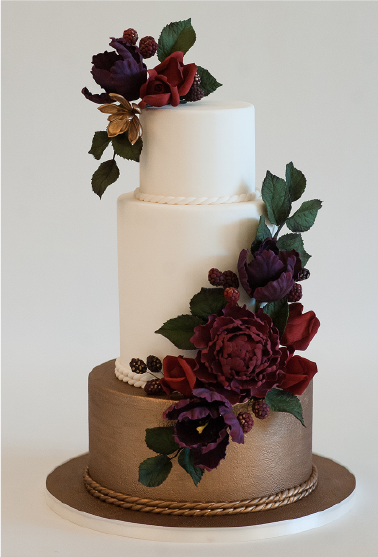 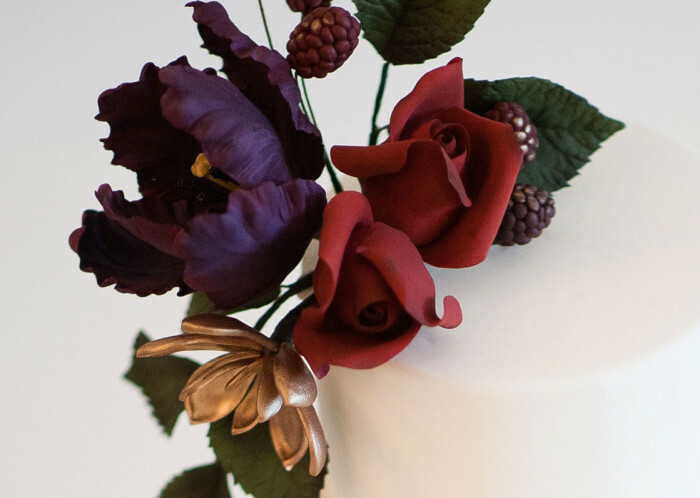 Complete with hand-rolled, sugar berries that are gently brushed with a metallic bronze luster, deep red roses, royal purple tulips and dark green leaves, this cake will leave you wondering and dreaming of another world. 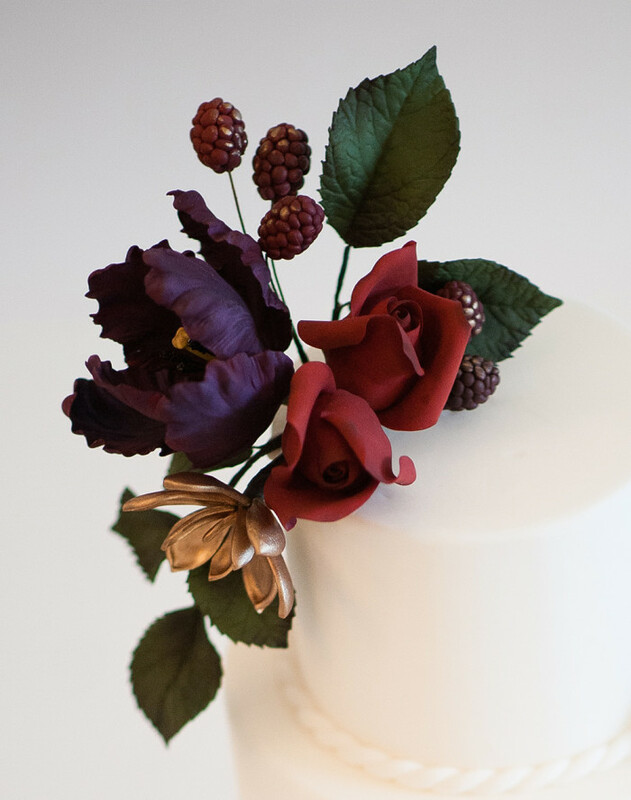 Ruby is for the bride who is taking their guest away to another place and giving them an experience.